Thanks to its association with gloomy weather (or a certain famous romance novel), the color grey has gotten a bad rap over the years. When we think grey, we see rain clouds in our minds or picture a pessimistic stuffed donkey. But there’s no reason to feel all gloomy when thinking about grey glasses. 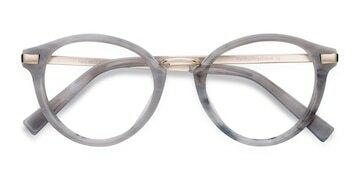 The thing is, grey is actually one of the most popular colors for eyeglass frames. 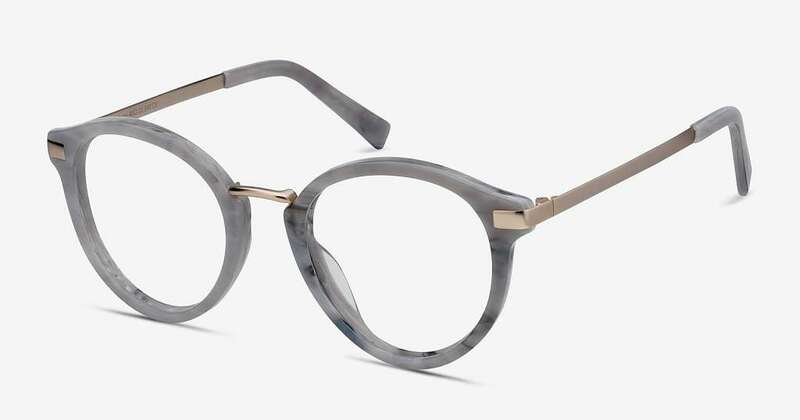 Grey metal frames have seen a resurgence in popularity. They’ve been especially prevalent among streetwear enthusiasts who prefer trend towards a minimalistic Scandinavian aesthetic. In fact, metal aviator glasses are the most popular frame style in Sweden at the moment, with round metal frames at a close second. Their timeless look makes them a smart fashion choice, while their modest design allows them to be worn in any setting. Which is what makes grey metal glasses great for the workplace. Whether you’re part of the design team or find yourself in a formal office setting, no one will give you a second look if you’re wearing grey glasses. For workplaces that tend to be on the more traditional side, rimless and semi-rimless metal glasses offer a more conservative look. 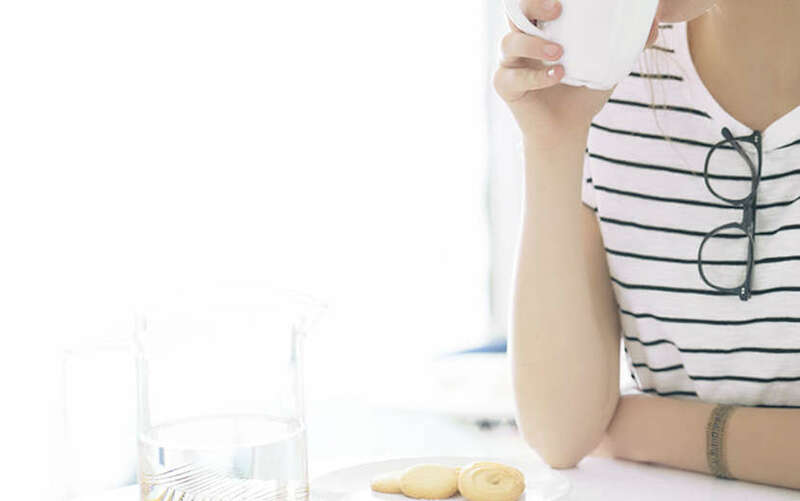 For people with stronger prescriptions, we strongly suggest upgrading your lens to a thinner index if you go for a rimless or semi-rimless frame. This is to keep your lenses from having a Coke bottle appearance since the edges of the lenses aren’t covered by the frame. Keeping along the lines of a minimalist aesthetic, grey glasses frames in acetate have also secured their place among both East and West Coast hypebeasts. While frosted clear greys and smokey crystals reign supreme, tortoiseshell and striped grey patterns such as Yuke have made their mark as well. When it comes to grey glasses and picking a frame material, you thankfully don’t have to succumb to the tyranny of either/or. Mixed material frames feature a combination of metal and plastic or acetate frame elements, making for some truly unique and iconic frame styles. 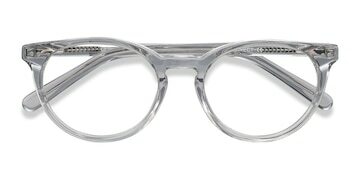 If you’re looking for something with a more retro flair, go for a browline frame with grey acetate brows silver metal rims. For a frame with a bit of a more funky feel, find a frame with a grey metal frame front and acetate temple arms. 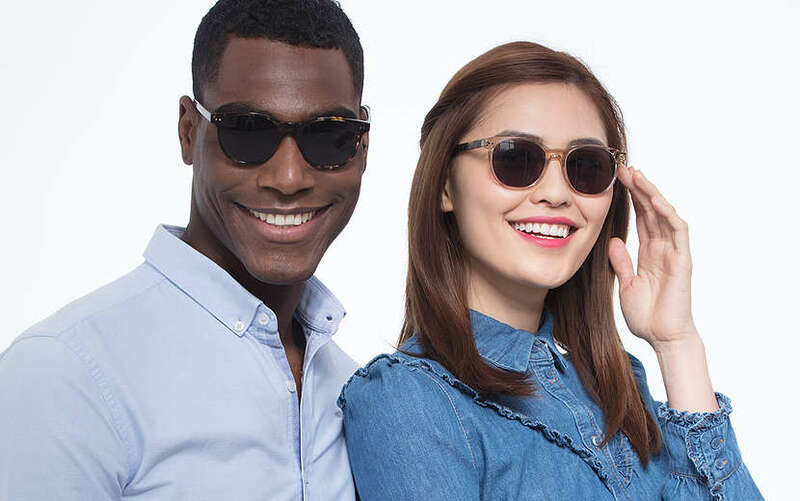 If you’re the kind of person who’s always losing their sunglasses or doesn’t like to have to keep track of a second pair of eyewear, you might want to consider Transitions lenses for your grey glasses. Transitions are a premium photochromic lens that changes from light to dark when exposed to UV light, giving you clear eyeglasses indoors and tinted sunglasses outside. Transitions lenses come in a slate grey tint as well as a copper brown. For those of you who spend your entire day sitting in front of a computer screen, you might want to consider grey glasses with digital screen protection lenses instead. Our SightRelax and EBD Blue lenses help to protect your eyes from all that screen time and protect your eyes against digital eye strain. You can learn more about digital screen protection here. While grey clouds might cause us worry, grey glasses never should. That’s why we have our hassle-free exchange and return policy. At EyeBuyDirect, it’s important to us that you’re 100% happy with your glasses. That’s why if you receive them and aren’t fully happy, you can exchange or return them for free. We also have a 1-year product guarantee. 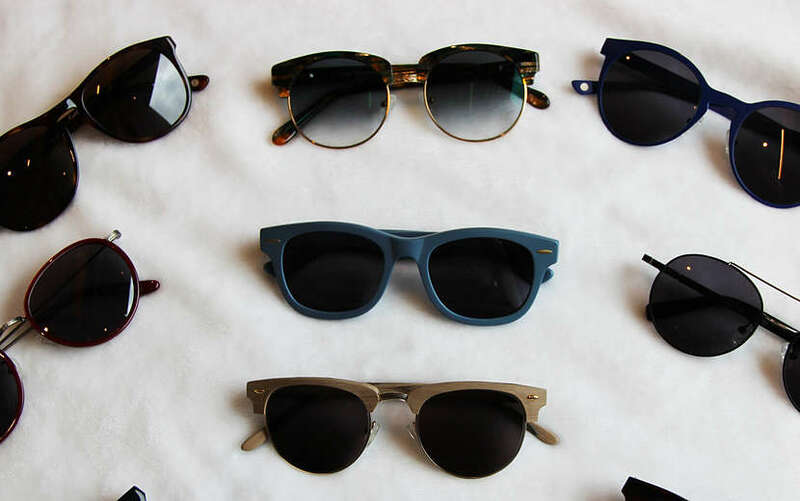 If there’s a problem with your glasses, we’ll send you a replacement pair to keep you looking good. With your mind at ease and worry washed away, what are you waiting for? Get out there and find your grey glasses today!